Optical and electrical features of Cu2O solar cells from simple primitive bufferless AZO/Cu2O to complex single/double layer-antireflection coating (S/DLARC) on back-surface fluorine-doped tin oxide (BSF/FTO), were numerically studied. The simulated cells were optimized using a low-conduction band offset buffer, controlled-defect BSF, and antireflection coating layers under a compatible fabrication process. By considering the interlayer defects, the optimized DLARC/AZO/buffer/Cu2O/CuO on BSF/FTO exhibits an improved efficiency of 9.17%, with a JSC≈11.45 mA/cm2, a VOC≈1.191 V, and a fill factor of 67.22% under simulated illumination (AM 1.5G, 100 mW/cm2). Finally, the cell underwent simulated moisturized conditions (RH=90% at T=60°C), where its performance dramatically declined with the exposure time. The results show that the models can be adapted for prediction of the Cu2O-based-cell behavior prior to fabricating. J. Kaur, O. Bethge, R. A. Wibowo, N. Bansal, M. Bauch, R. Hamid, E. Bertagnolli, and T. Dimopoulos, “All-oxide solar cells based on electrodeposited Cu2O absorber and atomic layer deposited ZnMgO on precious-metal-free electrode,” Sol. Energy Mater. Sol. Cells 161, 449–459 (2017). S. Sinha, D. K. Nandi, S. H. Kim, and J. Heo, “Atomic-layer-deposited buffer layers for thin film solar cells using earth-abundant absorber materials: a review,” Sol. Energy Mater. Sol. Cells 176, 49–68 (2017). Z. Zang, “Efficiency enhancement of ZnO/Cu2O solar cells with well oriented and micrometer grain sized Cu2O films,” Appl. Phys. Lett. 112, 42106 (2018). S. H. Wee, P.-S. Huang, J.-K. Lee, and A. Goyal, “Heteroepitaxial Cu2O thin film solar cell on metallic substrates,” Sci. Rep. 5, 16272 (2015). N. H. Ke, P. T. K. Loan, D. A. Tuan, H. T. Dat, C. V. Tran, and L. V. T. Hung, “The characteristics of IGZO/ZnO/Cu2O:Na thin film solar cells fabricated by DC magnetron sputtering method,” J. Photochem. Photobiol. A Chem. 349, 100–107 (2017). T. Minami, Y. Nishi, and T. Miyata, “Effect of the thin Ga2O3 layer in n+-ZnO/n-Ga2O3/p-Cu2O heterojunction solar cells,” Thin Solid Films 549, 65–69 (2013). T. Minami, Y. Nishi, T. Miyata, and J. I. Nomoto, “High-efficiency oxide solar cells with ZnO/Cu2O heterojunction fabricated on thermally oxidized Cu2O sheets,” Appl. Phys. Express 4, 062301 (2011). M. Abdelfatah, J. Ledig, A. El-Shaer, A. Wagner, V. Marin-Borras, A. Sharafeev, P. Lemmens, M. M. Mosaad, A. Waag, and A. Bakin, “Fabrication and characterization of low cost Cu2O/ZnO:Al solar cells for sustainable photovoltaics with earth abundant materials,” Sol. Energy Mater. Sol. Cells 145, 454–461 (2016). T. Minami, Y. Nishi, and T. Miyata, “Cu2O-based solar cells using oxide semiconductors,” J. Semicond. 37, 014002 (2016). T. Wong, S. Zhuk, S. Masudy-Panah, and G. Dalapati, “Current status and future prospects of copper oxide heterojunction solar cells,” Materials 9, 271 (2016). Y. Chen, X. Tan, S. Peng, C. Xin, A. E. Delahoy, K. K. Chin, and C. Zhang, “The influence of conduction band offset on CdTe solar cells,” J. Electron. Mater. 47, 1201–1207 (2018). R. E. Brandt, N. M. Mangan, J. V. Li, Y. S. Lee, and T. Buonassisi, “Determining interface properties limiting open-circuit voltage in heterojunction solar cells,” J. Appl. Phys. 121, 185301 (2017). Y. Takiguchi and S. Miyajima, “Device simulation of cuprous oxide heterojunction solar cells,” Jpn. J. Appl. Phys. 54, 112303 (2015). L. Zhu, G. Shao, and J. K. Luo, “Numerical study of metal oxide hetero-junction solar cells with defects and interface states,” Semicond. Sci. Technol. 28, 055004 (2013). M. Adaika, A. Meftah, N. Sengouga, and M. Henini, “Numerical simulation of bias and photo stress on indium-gallium-zinc-oxide thin film transistors,” Vacuum 120, 59–67 (2015). G. S. Sahoo and G. P. Mishra, “Effective use of spectrum by an ARC less dual junction solar cell to achieve higher efficiency: a simulation study,” Superlattices Microstruct. 109, 794–804 (2017). C. Majumder, A. Rai, and C. Bose, “Performance optimization of bulk heterojunction organic solar cell,” Optik (Stuttgart) 157, 924–929 (2018). F. Djaafar, B. Hadri, and G. Bachir, “Optimal parameters for performant heterojunction InGaP/GaAs solar cell,” Int. J. Hydrogen Energy 42, 8644–8649 (2017). M. Toghyani Rizi, M. H. S. Abadi, and M. Ghaneii, “Two dimensional modeling of Cu2O heterojunction solar cells based-on β-Ga2O3 buffer,” Optik (Stuttgart) 155, 121–132 (2018). T. Minami, T. Miyata, and Y. Nishi, “Cu2O-based heterojunction solar cells with an Al-doped ZnO/oxide semiconductor/thermally oxidized Cu2O sheet structure,” Sol. Energy 105, 206–217 (2014). O. Nonoichi, “A study of high-efficiency heterojunction solar cells using a Cu2O sheets as p-type oxide semiconductor layer,” Jpn. J. Appl. Phys. 43, L917–L919 (2004). H. Arbouz, A. Aissat, and J. P. Vilcot, “Simulation and optimization of CdS-n/Cu2ZnSnS4 structure for solar cell applications,” Int. J. Hydrogen Energy 42, 8827–8832 (2017). A. El Hamidi, K. Meziane, A. El Hichou, T. Jannane, A. Liba, J. El Haskouri, P. Amorós, and A. Almaggoussi, “Refractive index controlled by film morphology and free carrier density in undoped ZnO through sol-pH variation,” Optik 158, 1139–1146 (2018). C. Malerba, F. Biccari, C. L. A. Ricardo, M. D’Incau, P. Scardi, and A. Mittiga, “Absorption coefficient of bulk and thin film Cu2O,” Sol. Energy Mater. Sol. Cells 95, 2848–2854 (2011). H. ElAnzeery, O. El Daif, M. Buffière, S. Oueslati, K. B. Messaoud, D. Agten, G. Brammertz, R. Guindi, B. Kniknie, M. Meuris, and J. Poortmans, “Refractive index extraction and thickness optimization of Cu2Zn/SnSe4 thin film solar cells,” Phys. Status Solidi 212, 1984–1990 (2015). R. M. Gharehbagh, S. Özen, H. H. Yudar, S. Pat, and Ş. Korkmaz, “Investigation of some physical properties of Ge-doped ZnO thin films deposited by thermionic vacuum arc technique,” J. Mater. Sci. Mater. Electron. 28, 14131–14137 (2017). Y. Nishi, T. Miyata, and T. Minami, “The impact of heterojunction formation temperature on obtainable conversion efficiency in n-ZnO/p-Cu2O solar cells,” Thin Solid Films 528, 72–76 (2013). T. Minami, T. Miyata, and Y. Nishi, “Relationship between the electrical properties of the n-oxide and p-Cu2O layers and the photovoltaic properties of Cu2O-based heterojunction solar cells,” Sol. Energy Mater. Sol. Cells 147, 85–93 (2016). Qiang-Ma, W.-J. Zhang, D.-H. Ma, Z.-Q. Fan, X.-B. Ma, and Z. Jiang, “Optimal design of quadruple-layer antireflection coating structure for conversion efficiency enhancement in crystalline silicon solar cells,” Optik 177, 123–130 (2017). J. W. Leem, J. S. Yu, J. N. Kim, and S. K. Noh, “Theoretical modeling and optimization of III-V GaInP/GaAs/Ge monolithic triple-junction solar cells,” J. Korean Phys. Soc. 64, 1561–1565 (2014). A. Bahrami, S. Mohammadnejad, and S. Soleimaninezhad, “Optimized single and double layer antireflection coatings for GaAs solar cells,” Int. J. Renew. Energy Res. 3, 1–5 (2013). 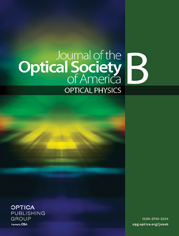 A. Rahmanian and A. Rahmani, “Effects and properties of double-layer anti-reflective coating In2O3/conic Al2O3 and three-layer anti-reflective coatings of TiO2/In2O3/conic Al2O3 on silicon substrate,” Optik 155, 163–170 (2018). L. P. Wang, P. De Han, Z. X. Zhang, C. L. Zhang, and B. S. Xu, “Effects of thickness on the structural, electronic, and optical properties of MgF2 thin films: the first-principles study,” Comput. Mater. Sci. 77, 281–285 (2013). M. Fortes, A. Belfar, and A. J. Garcia-Loureiro, “Efficiency increase of a-Si:H solar cells with optimized front and back contact textures,” Optik 158, 1131–1138 (2018). K. Ali, S. A. Khan, and M. Z. MatJafri, “TCAD design of silicon solar cells in comparison of antireflection coatings and back surface field,” Optik 127, 7492–7497 (2016). A. Ghadimi and H. Arzbin, “Efficiency improvement of ARC less InGaP/GaAs DJ solar cell with InGaP tunnel junction and optimized two BSF layer in top and bottom cells,” Optik 148, 358–367 (2017). J. Verma, P. Dey, A. Prajapati, and T. D. Das, “Multi BSF layer InGaP/GaAs high efficiency solar cell,” in 11th International Conference on Intelligent Systems and Control (ISCO) (2017), pp. 278–281. Y. Wang, Z. Xia, J. Liang, X. Wang, Y. Liu, C. Liu, S. Zhang, and H. Zhou, “Towards printed perovskite solar cells with cuprous oxide hole transporting layers: a theoretical design,” Semicond. Sci. Technol. 30, 054004 (2015). G. A. Casas, M. A. Cappelletti, A. P. Cédola, B. M. Soucase, E. L. Peltzer, and Y. Blancá, “Analysis of the power conversion efficiency of perovskite solar cells with different materials as hole-transport layer by numerical simulations,” Superlattices Microstruct. 107, 136–143 (2017). H. Song, J. Nomoto, H. Makino, and T. Yamamoto, “Highly moisture resistant Ga-doped ZnO films with textured surface for thin-film solar cells with indium codoping fabricated by ion plating with direct-current arc discharge,” Jpn. J. Appl. Phys. 53, 05FJ04 (2014). H. Song, H. Makino, J. Nomoto, and N. Yamamoto, “Improved moisture stability of thin Ga-doped ZnO films by indium codoping,” Appl. Surf. Sci. 457, 241–246 (2018). K. Yapabandara, V. Mirkhani, M. S. Sultan, B. Ozden, M. P. Khanal, and M. Park, “Study of device instability of bottom-gate ZnO transistors with sol-gel derived channel layers,” J. Vac. Sci. Technol. B 35, 03D104 (2017). H. Jiang, K. W. Chou, S. Petrash, G. Williams, J. Thieme, D. Nykypanchuk, L. Li, A. Muto, and Y. C. Chen-Wiegart, “Environmentally induced chemical and morphological heterogeneity of zinc oxide thin films,” Appl. Phys. Lett. 109, 091909 (2016). J. Hüpkes, J. Owen, M. Wimmer, F. Ruske, D. Greiner, R. Klenk, U. Zastrow, and J. Hotovy, “Damp heat stable doped zinc oxide films,” Thin Solid Films 555, 48–52 (2014). T. Miyata, Y. Ohtani, T. Kuboi, and T. Minami, “Stability of nano-thick transparent conducting oxide films for use in a moist environment,” Thin Solid Films 516, 1354–1358 (2008). T. Minami, T. Kuboi, T. Miyata, and Y. Ohtani, “Stability in a high humidity environment of TCO thin films deposited at low temperatures,” Phys. Status Solidi A 205, 255–260 (2008). Fig. 1. Solar cell structure with various buffers. Fig. 2. Energy band alignment diagram of solar cell. Fig. 3. (a) Experimental J−V characteristics versus (b) simulated results. Fig. 4. P−V characterization of simulated cell. Fig. 5. Simulated band diagram of solar cell. (a) Bufferless AZO/Cu2O; (b) buffered AZO/ZnO/Cu2O; (c) buffered AZO/β−Ga2O3/Cu2O; (d) buffered AZO/Zn1−xGexO/Cu2O. Fig. 6. (a) Experimental  versus (b) simulated EQE diagrams of the buffered cells. Fig. 7. Solar cell structure with double layer antireflection coating. Fig. 8. (a) Effect of antireflection coating on EQE; (b) effect of antireflection coating on reflectivity. Fig. 9. Structure of solar cell with BSF. Fig. 10. Effect of BSF doping on solar cell performance. Fig. 11. Effect of absorber thickness on (a) solar cell performance; (b) EQE. Fig. 12. Schematic diagram of moisture effect on AZO layer of solar cell. Fig. 13. Normalized values of resistivity for AZO with various thicknesses. (a) Relationship between n-μ for AZO with various thicknesses; (b) normalized carrier concentration; (c) and Hall mobility (d) as functions of exposure time for AZO films with various thicknesses . Fig. 14. Solar cell figures of merit as a function of moisture exposure time.